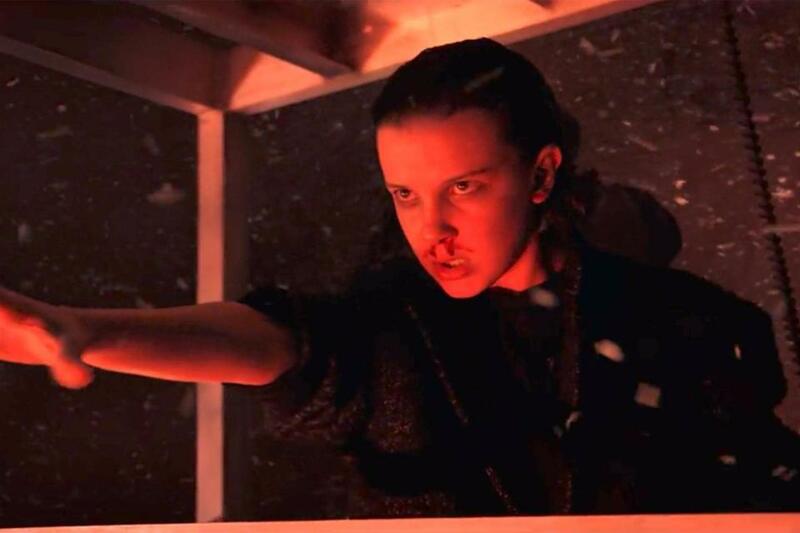 Back in 2016, when the first season of Stranger Things aired on Netflix, the world binged about it for months. Myself included. I wrote the spoiler-free review for season 1. The first season is mind blowing, like I said, it's like Stephen King meets Steven Spielberg with a bit advice from Stanley Kubrick. 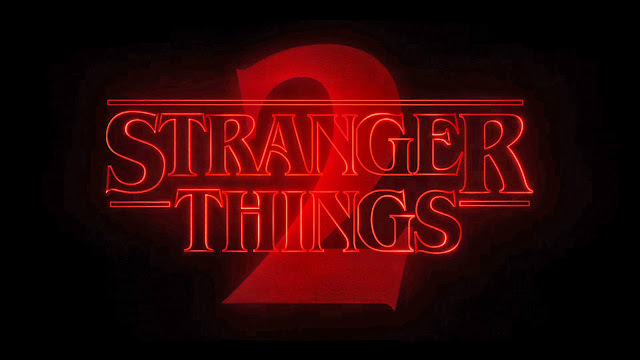 Season 2 is a level better than the first in terms of the storyline, production and character development. Let's talk about it further. 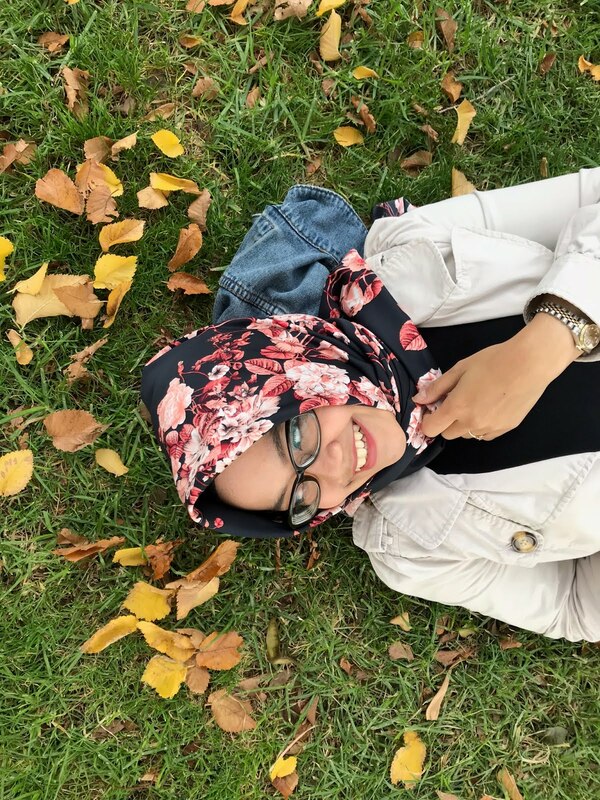 Let's talk about the story first. 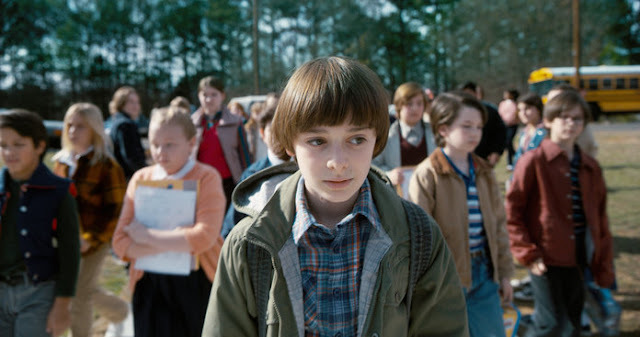 The series goes within a year after the previous season, Will Byers (Noah Schnapp) is back, healthier and happier. He's trying to live his normal life again although his Mom, Joyce (Winona Ryder) and his brother Jonathan (Charlie Heaton) are bit overprotective of him. It is understandable for how long Will has been missing and what happened to him, I'd do the same to protect my son or my younger brother. Not only Will's family that became protective over him, his best friends too, especially Mike Wheeler (Finn Wolfhard). 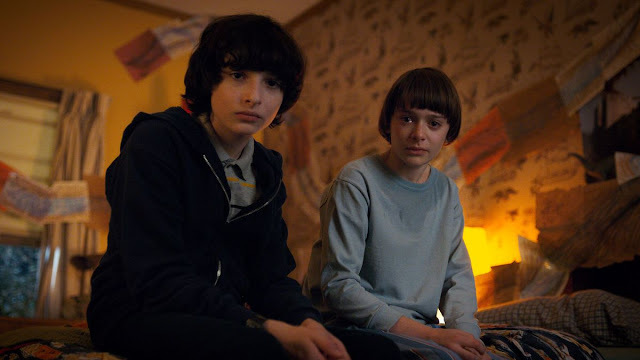 I love the fact that Mike and Will known each other longer than the rest of the gang, because in this season, it shows a lot. We saw how Mike was dead worried about Will in the previous season, and here, I think he's really shows how much he cares and worries. The scene when Mike is trying to wake the real Will, and he's really showing how much he misses his best friend even cries in front of people in the room, I think it's really sweet. It's like they're brothers. I have to say, season 2 really does the story justice. Previous season felt a little bit overwhelming with how many things went, here, with a slower pace storyline, the combination of drama and upside down things that are still happening and threatening Hawkins, is really a piece of art here. It is an obvious fact that the story is well written. Just like the previous season, season 2 is a slow pace. It builds the storyline nicely, although perhaps for some people it's getting boring and takes time to get their interest back. Personally, season 2 is what I hope and want from Stranger Things. What I love the most about this season is not the heavy alien things like the first one, but the character development. Every character in this season is a hero. Everyone gets their own moment without outshine the others. The show proves, we can be hero without being heroic. We can be other people's hero by being ourselves. I feel like, the creators, Matt and Ross Duffer want us to get to know each character better. 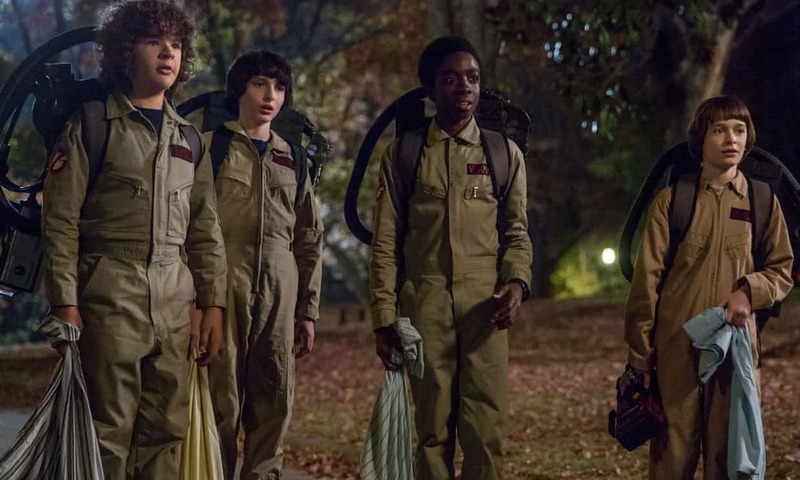 To sum up, we get background stories for Eleven/Jane (Millie Bobby Brown), the coming of age drama of Mike, Dustin (Gaten Mattarazzo) and Lucas (Caleb McLaughlin), and even in the older side like the teen love triangle between Nancy (Natalia Dyer), Steve (Joe Keery) and Jonathan, Joyce's new relationship with high school friend, Bob Newby (Sean Astin) and her friendship with Hopper (David Harbour), everything is so relatable and fresh. We also get justice for Barbara (Shannon Purser). The major character development, obviously is Steve, he goes from such a douche to very well-behave big brother especially for Dustin. I didn't expect him to be one of my favorites. Each character has story to tell and this season does the justice. The truth about Eleven's story, she finally meets Mama and her Aunt, she learns about Mama's past and her own past. It's all feels like a punch in the heart, I mean, how could someone be as evil as Papa/ Dr. Martin Brenner (Matthew Modine)? The highlight of El's story is probably her relationship with Hopper. 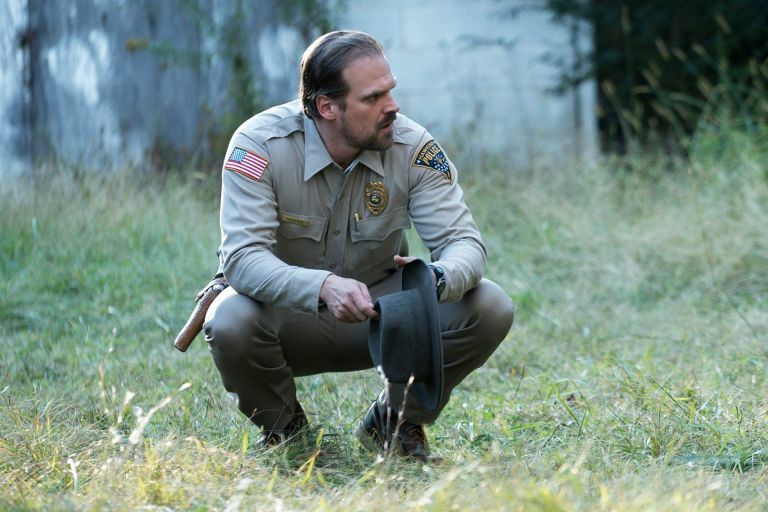 We never seen Jim Hopper as vulnerable as he is in here before, right? But ever since he kept El hidden, lives with her in the middle of the wood, treats her as his own daughter, it's like a therapy for Hopper to really accept the fact that Sarah is gone and now he's taking care another little girl who has no idea about the world. The loss he's been through in the past, it heals with the way he and El building trust on each other. I mean, I cry a lot, how about you? Another new character that is also stealing the show is Dr. Sam Owens (Paul Reiser), at first I though it's going to be like Brenner, but toward the end we see how Owens really taking care of Will. He defends Will's life on the board, he protects the boy from being killed because it's the only way to end the threat, and the last two episodes, he shows that he's a good person. He chooses to be the one who left behind while he guides Bob to get back to the front door and Jim takes everyone outside safely. However, he's a bit sneaky for me. Everyone dies in the building, even Bob who supposedly safe, but he's only get minimal injury in his tight? Well, I don't know. In the last episode, he gives Jim a legal certificate of Jane's adoption. I love it but at the same time, I wonder what he's up to. Moving on to the production, I feel like the '80s vibe in this series is more alive. As a person who wasn't born in the 80s, I feel relatable at some point like in the music, the games, the hair style and clothing style. The CGI is a lot better in this season, softer and has more gradient to the scenes. This season didn't provide us heavy alien things, it has more drama, but when it did show us some creepy stuffs, it took seriously. Although it has so many great things to say, season 2 has flaws. In term of storyline, there are few unnecessary drama regarding to the new character. First, new character, Max (Sadie Sink) is not important whatsoever. What I see, she's being in the show to add drama between the boys. Second, episode 7. The whole episode is dedicated for El's journey to find the answer of her past. I understand it's important for El's background story, but this particular episode is not working for entire season. It feels like a pilot for another season 2 or spin-off but they put it in the middle. It's quite boring, another new character, Eight is just like Max, I don't mind if they didn't presence. With these characters, I think the show didn't know where to put them. It's a bit of a shame to see such talented young actors in a waste. Despite the flaws, I think if you love season 1, you will enjoy this season as well. I really enjoy it and I can't wait for season 3!